Whoopi and the Entire panel Clown Rosie live on Air. Is this really why she quit 'The View'? (Must Watch Video) - T.V.S.T. I thought this clip was very interesting. It shows a general lack of respect for Rosie, or at least not the level of respect I think she was expecting to receive when she joined the show. When she agreed to join “The View” ABC let her bring in her entire team. They hired people and fired people along with executing a myriad of changes so that she would feel welcomed. Fast forward to 2015, Whoopi goes on medical leave and Rosie is basically Queen Bee of the show for two weeks. 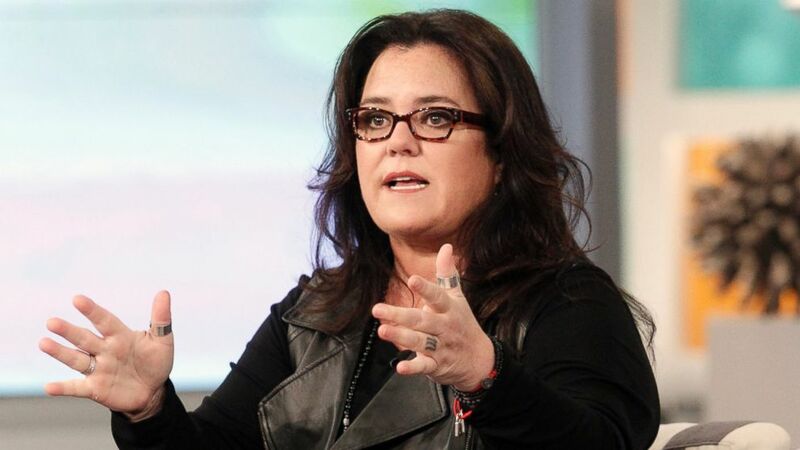 You can see a new energy in Rosie every day that Whoopi is gone. In fact rumor has it that Whoopi was told to mend her relationship with Rosie or she would be out. ABC would buy her out of her contract. It was Cindi Berger — Rosie’s own publicist — who told execs not to give her the show. And Rosie’s team is divided about it. That’s because her agents pulled out all the stops to keep her on the show. They said they’d do anything to make the final few months balanced for her so she could take care of her family and personal life. But Cindi made the choice anyway and Rosie’s agents are annoyed. This brings us to the video clip. I think when Whoopie came back, the war started again and Rosie was back to playing 2nd fiddle. I think Rosie’s publicist Cindi Berger, was just executing Rosie’s wishes. The disrespect was all that she could take and she didn’t want to be there anymore. The clip I found is just one example of the blatant ridicule that she had to deal with seemingly on a daily basis. The version of this clip formally released by the “The View” on Youtube cuts the part out where the entire panel basically bursts out laughing in Rosie’s face. The clip I have also ends about 3 seconds too soon but not before the entire panel erupts into chuckles at Rosie after Whoopie takes a jab. During the actual show, the cameraman pauses on Rosie’s shocked sour-puss for about 2 seconds and it’s priceless. I call this clip – laughing in Rosie’s face. Rosie also made a video of why she is leaving The View…….Of course it’s stressful. Getting clowned everyday will take it’s toll on anyone. Warren Sapp Is Gone And Almost Every NFL Network Employee Is Thrilled About It!